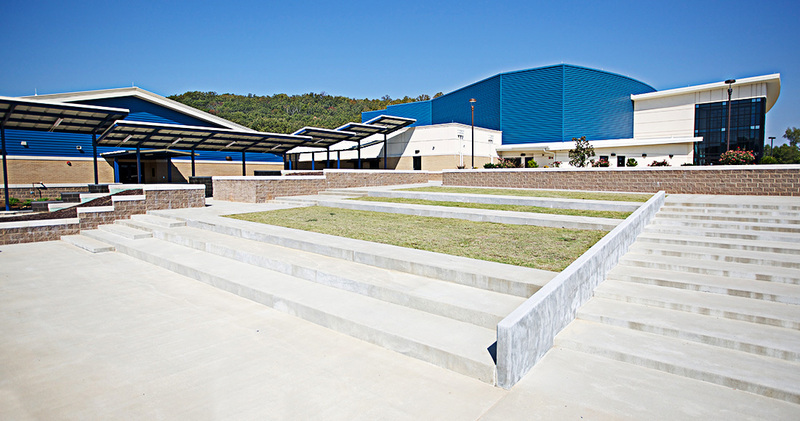 The Greenbrier High School Fine Arts Building was designed to provide a learning environment comparable to most universities. 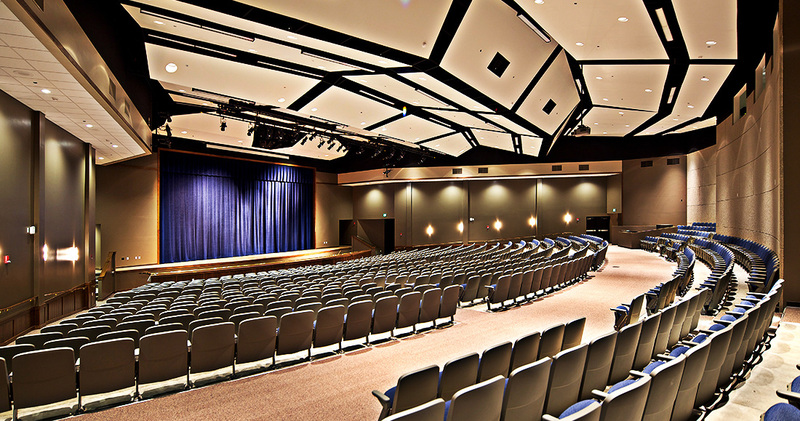 As a performance hall for the Drama Department, the building was designed as a theater, with each space introducing the next. 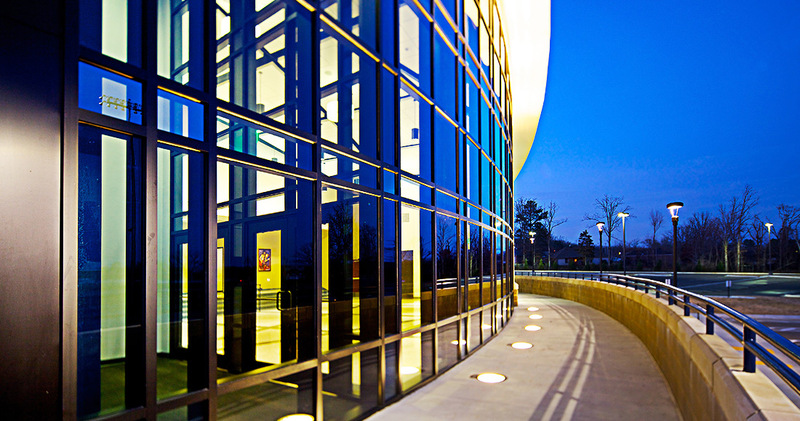 The curved exterior walls and multicolored glass façade lead people to the building entrance. The main entrance takes the traditional role of the theatrical chandelier, and changes it into a piece that is passed through instead of underneath. The pattern of the lobby’s terrazzo floor mimics the acoustic ceiling clouds above. 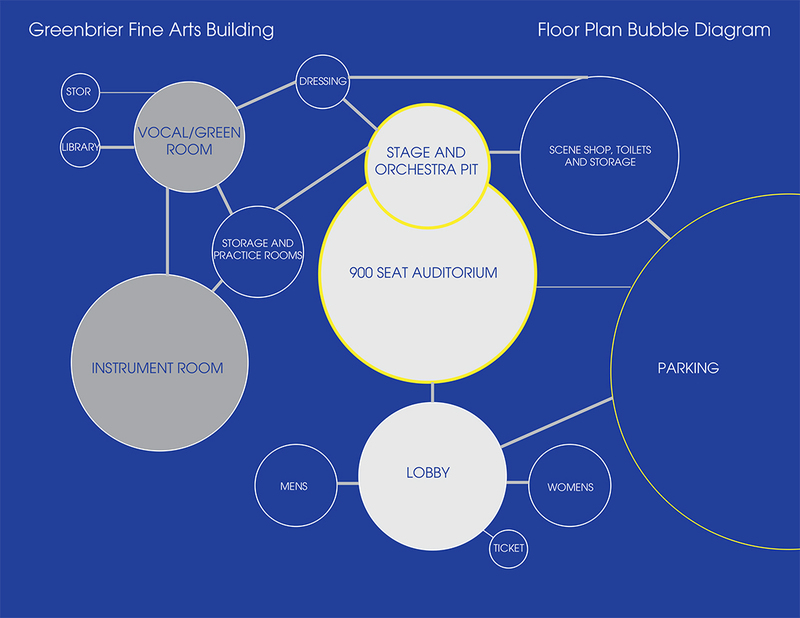 It also directs the attendees to one of the three entrances to the theater space. 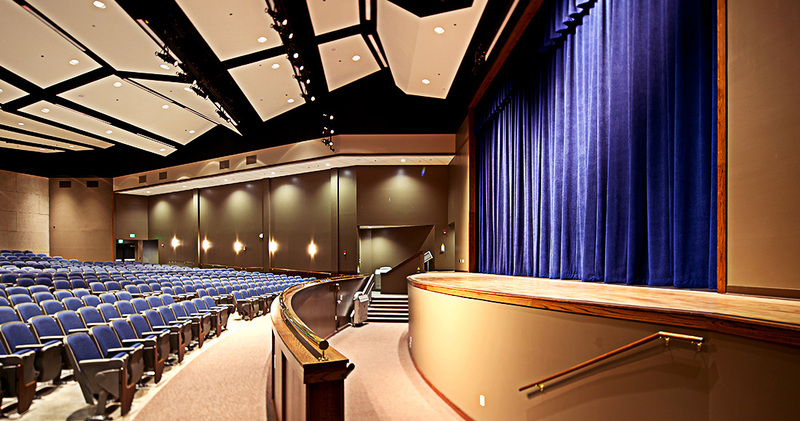 Upon entering the 900 seat auditorium, the space opens and directs attention to the stage. 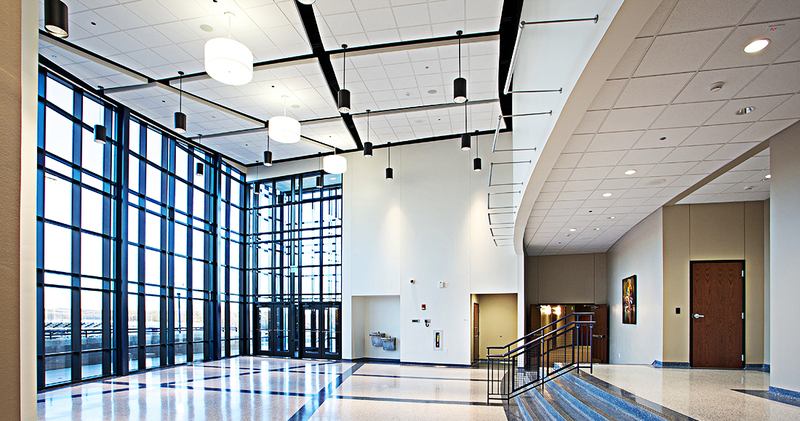 The shape, size, and material composition of the walls and the ceilings have been meticulously designed for optimum acoustics. 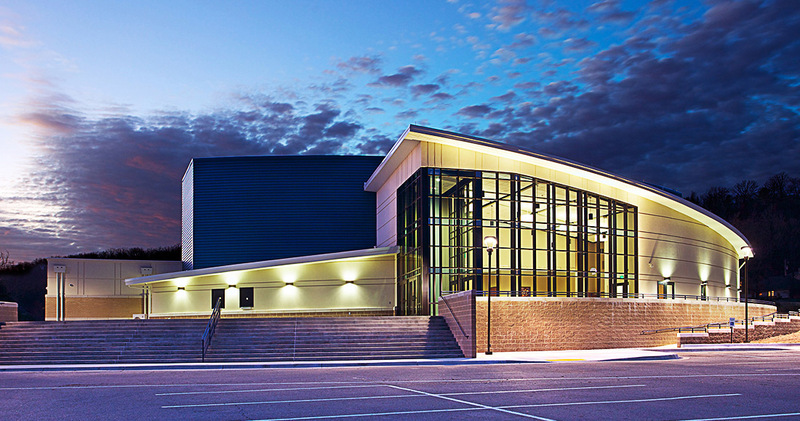 As a band facility, the building contains a large band room, the director’s office, instrument repair and storage, and uniform storage. 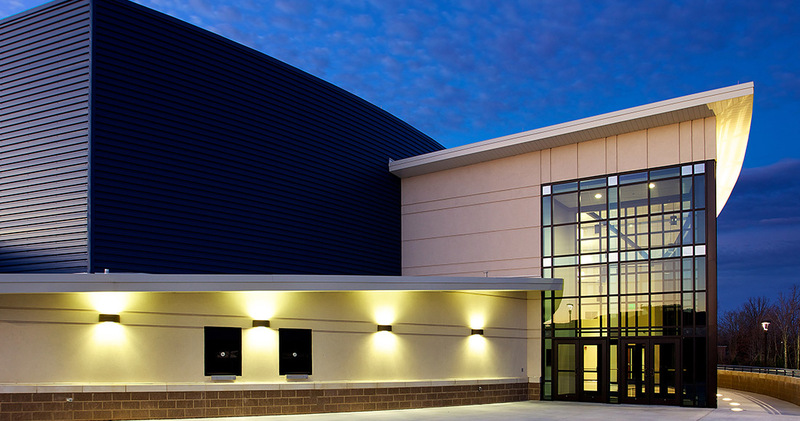 The choir function of the building includes a vocal room, a library, a practice room, and two offices. Great attention was given to the design of the walls as sound barriers between the sound-sensitive spaces.